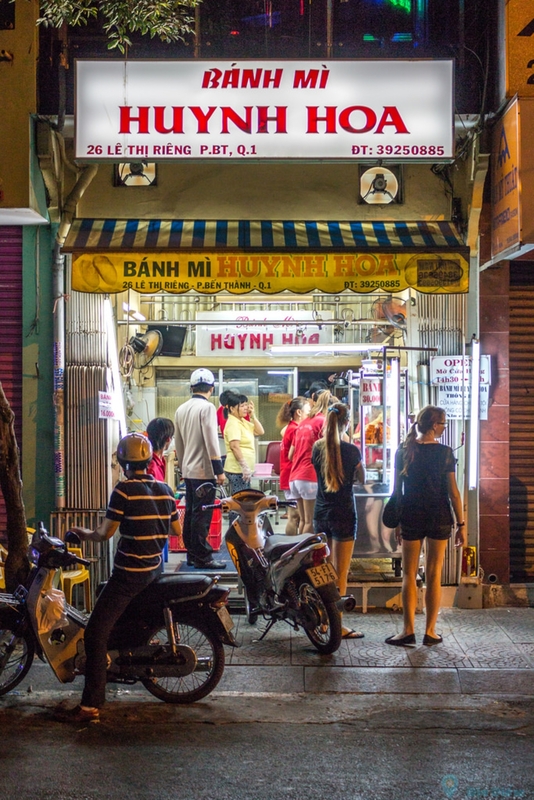 Bánh mì is among the most popular and ubiquitous street foods in Saigon. Walk any street in Saigon and you’re likely to find at least one street food vendor smearing a small baguette with pâté, dropping in some cold cuts and pickled vegetables, squirting in some soy sauce (and adding a few chili peppers) … then wrapping it in a small sheet of paper and snapping a rubber band around the package. Off you go on foot or motorbike with a great midday or midnight sandwich snack. The Vietnamese Baguette is a special type of bread that is unique and different from a standard French Baguette you might find at a French bakery. Not only used for sandwiches, the Banh Mi has found its way onto many different Vietnamese dishes as a necessary side. One of the most notable being the French influenced Vietnamese dish Bo Kho, which requires the Banh Mi for soaking up the meaty rich broth making for an excellent breakfast. A very popular Goat Curry restaurant in Saigon, provides its guests with a stack of Banh Mi at each table used to soak up the rich curry gravy which provides a unique substitute to the Naan Bread that is typically placed alongside curry dishes. So, with literally thousands of bánh mì vendors across town, how does one find “the best bánh mì in Saigon”? Well, it’s all in a days’ work .Just keep eating and searching. At Banh Mi Huynh Hoa located at 26 Le Thi Rieng, There are two carts stacked with 9 different types of meat, fresh pate, and homemade mayo pushed up against the right wall of the building. On the left side, there will be a man who is constantly heating up baguettes inside of a low heat oven. 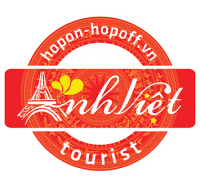 Depending on the time that you have chosen to get a Banh Mi, there will be a mob standing on the outside of the store, which is helpful in identifying the shop if you are not familiar with Ho Chi Minh City. I thought you might be curious on what you now have been holding in your hand. This is a Banh Mi Thit, which translates into Wheat Bread Meat Sandwich. • 6 types of delicious meat made from pork, with ranging textures. Some are smooth like Bologna and others chunky like head cheese with lots of fat. Well, that covers the best Banh Mi Thit in Saigon in our opinion. If you disagree, please let us know. We want to hear what your favorite is! Scores of young folk were enjoying the relatively cool breeze off the River, sitting side-by-side on their motorbikes, sipping their nước ngọt (soda pop) or eating their kem (ice cream) available from the mobile vendors strolling along the riverside walk. Quiet, “cool”, relaxing, and even a tad romantic … What better place to sit and enjoy Saigon’s best bánh mì! This is what enjoying Saigon street food is all about! Life is good.